I’m excited to announce my next Dancehall Origins event, taking place Saturday 18th March 2017 in Chalk Farm, London. 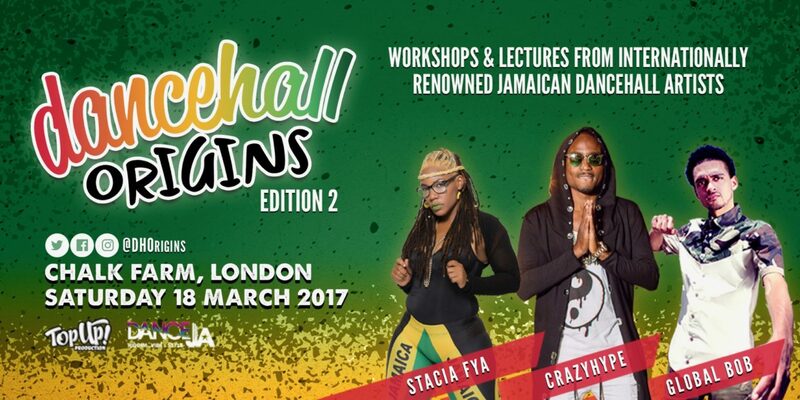 Following the success of the first event in October 2016, Dancehall Origins returns to London with three huge names direct from Jamaica leading workshops and lectures – bringing Dancehall Origins to you! WHO: DHOrigins organised his first ever UK workshop and lecture in October 2016, he loved the London vibe so much he’s coming back to work with us again! You guessed it…the incredible GLOBAL BOB returns to share his unique knowledge of Dancehall history and culture. Representing STRONG Dancehall women, we have STACIA FYA teaching for the FIRST TIME EVER in the UK. Nine years since his last workshop in the UK, CRAZYHYPE the real MVP is coming to bring MAD ENERGY to London Town! 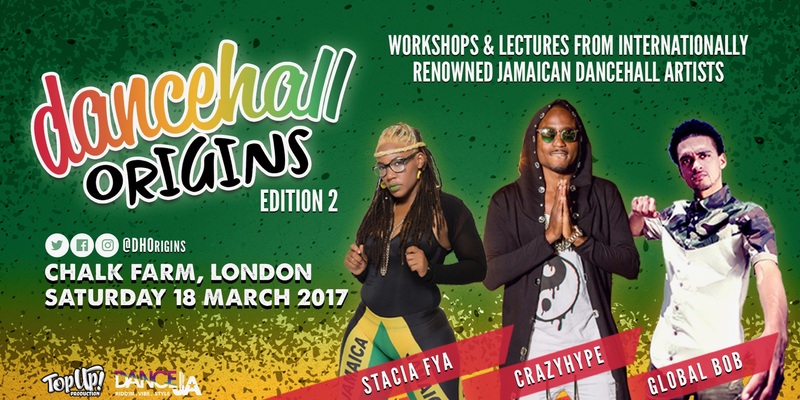 That’s Global Bob, Stacia Fya AND Crazyhype teaching here in London, straight from Jamaica 18th March. Don’t miss it! Early-bird tickets are available until 18th February: £50 for 3x workshops plus 1x lecture (bargain!). Further information, including schedule, location, artists and tickets ,can be found via our website. Don’t forget to follow us on Facebook and Instagram for the latest news and updates.